With the visitor numbers of sites all over the world rising and the recent selfie-craze leading to irresponsible acts, the number of fatal accidents at WHS increases as well. Just in the last few weeks “A man fell off the edge of the Grand Canyon, the third visitor death in eight days” and another “Tourist died of hypothermia after falling into Lake McDonald, Glacier Park”. Perhaps surprisingly, mining is the biggest killer of them all. We already had 2 serious mining disasters in this connection: at Le Bois du Cazier (Mining Sites of Wallonia) the last major mining disaster in European history cost 262 lives. 50 years earlier, the Courrières disaster (Nord-Pas de Calais) resulted in almost 1,100 deaths. 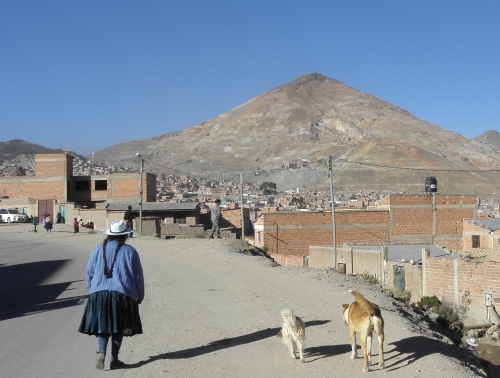 Potosí’s Cerro Rico is a still active mining WHS: according to the latest reports that I could find there were 19 and 20 deaths from mining accidents in 2009 and 2010 respectively. These all of course included workers and no tourists. Among tourists / travellers / explorers, climbing accidents are the biggest life-takers. More than 296 people have died trying to climb Mount Everest. Mt Kilimanjaro takes about 10 lives a year and even the less popular Kangchenjunga has seen over 50 deaths since 1905. And it's not only the climbing, the fatigue & the falling: avalanches and earthquakes in the climbing areas also contribute. The 2015 Sabah earthquake claimed 18 fatalities on Mount Kinabalu for example. Terrorist Attacks are part of a separate connection, but they have made hundreds of victims. One event that in particular stands out is the attack on Queen Hatshepsut's tomb in Ancient Thebes, in November 1997. 62 people died, mostly tourists. I would have guessed that plane crashes would be higher up the list, as they often have large numbers of fatalities. Planes often fall down close to an airport or near a mountain however, WHS core zones are relatively free of major crashes. Smaller accidents have appeared in Te Wahipounamu, at the Nasca Lines and even several times at the Everglades. Wikipedia even has a List of Human Stampedes. It features an event in Valletta from 1823: about 110 children died in a stampede while attempting to leave the Convent of the Minori Osservanti during the Carnival celebrations. We already had discovered 2 more of these freak accidents which wiki has not listed: at least 26 people were crushed to death in a deadly stampede in the famous Djinguereber mosque in the city of Timbuktu (2010) and at the Qutb Minar a stampede of schoolgirls inside the tower when the power inside the tower failed lead to 20 deaths (1979). People dying after an attack by a wild animal in a WH designated area seems to happen very rarely. Among the safari destinations Mana Pools stands out in a negative way: I found incidents with lions and with an elephant at Mana Pools. No direct link with the park's policy to allow walking safaris seems to exist. Last year, 2 people were killed by a hippo at Lake Navaisha. All these are not ‘significant’ enough to warrant a connection however. More dangerous to human life are bears. 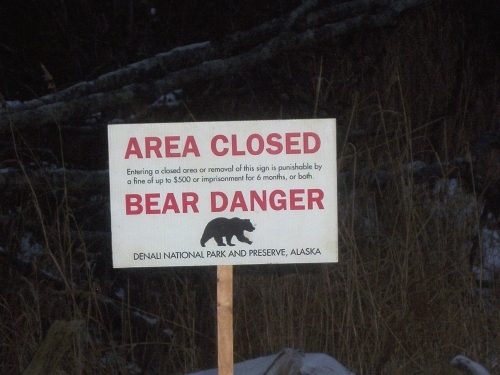 Glacier NP reports 9 fatal bear attacks since the 1960s. Jasper NP has 3. Since Yellowstone was established in 1872, 8 people have been killed by bears in that park. To put this in perspective though: more people in Yellowstone have died from drowning, burns (after falling into hot springs), and suicide than have been killed by bears. The real killer animal though is the tiger: both at Chitwan and the Sundarbans, significant numbers of people have been killed by this big cat. In 1988, 65 deaths were reported during a fourmonth period at the Bangladeshi part of the Sundarbans. It's unclear whether they occurred inside the core zone or also at the buffer zone, but the significant numbers can be explained due to the high population density around these parks. 15 people died after a sightseeing boat sank in Lake Ohrid (2009) and at Ha Long Bay 12 tourists were killed on a boat that sunk in February 2011. These are the only 2 WHS that I found with significant boating accidents that took a human toll. Thanks for the updates, I have added them to the connection. I started researching and updating the topic after looking into deaths by wild animals. Another to add to the mining disasters would be Sewell WHS in Chile. Site of one of the largest metallic mining disasters in history in 1945 when 355 miners died. Rather morbid, but timely, topic, since I had just come to the site after watching the film “Hotel Mumbai” to see if there was any mention of the terrorism event of 2008 at Chhatrapati Shivaji Terminus. I’d forgotten how many casualties were at the railway station (58 dead and 104 injured). The air disaster section reminds me of an event largely forgotten by Americans: the 1956 Grand Canyon mid-air collision, which killed 128 people after two planes had changed altitude unbeknownst to each other. The planes crashed into the canyon (near Chuar Butte and a Temple Butte). This disaster led to Congressional hearings and the creation of the Federal Aviation Agency (now Administration), which has oversight of US airspace. I learned about this crash through a rather grim but fascinating book a co-worker has recommended called “Over the Edge: Death in Grand Canyon”, which, like this post, details the myriad ways visitors to Grand Canyon have died. There is also a companion book called “Off the Wall: Death in Yosemite” that I haven’t read. The Olive Grove Landscapes of Andalusia is a serious candidate for WH nomination by Spain in the coming years. I have it written down for 2022, but it might have to battle with Talayotic Culture of Minorca first (things go much more slowly now only 1 nomination per country per year is allowed). It was added to the Tentative List only in 2017 and comprises a well-defined set of 15 olive grove locations of the continuing cultural landscape type. Andalusia is the world's leading olive tree grower, producing 30% of the global production of olive oil. Its 'olive history' stretches back "thousands of years": the Phoenicians introduced the cultivated olive tree, while locals already exploited the wild olive trees. The landscape is impossible to miss when driving from Malaga to Cordoba on the A-45 past Antequera: one sees nothing but olive groves for about 100km on both sides of the road. The tentative site description calls it a "sea of olive trees" - maybe inspiration for a future Epic Subtitle? Nowadays the town is mostly known for its many catholic churches and extensive Semana Santa celebrations. Its Parish Church of San Mateo has been converted from a synagogue and later a mosque. I walked around for a bit and the churches are indeed impressive, but that’s not what I came for. I needed lunch and photos of something olive related! Restaurants proved to be scarce and I resorted to some bread & serrano ham from the supermarket. The shelves were fully stocked with various types of olive oil, but none of them seemed to be locally produced. After visiting the town I tried to get closer to some of the olive groves in the surroundings. They are everywhere, but difficult to access with a car. These are privately owned farms, with ‘no entry’ signs or security bars blocking casual visitors such as myself. I just snapped a few photos and left disappointed. We could've given you some tips and spots to visit here - we spent a couple of weeks pet-sitting in Lucena and would regularly Schnitzel and the other dogs on long walks through the olive groves! Spain’s Medina Azahara won its WH status as recently as 2018 (after having been on the Tentative List for 3 years). It wasn’t a well-known destination before that, as can be read from the previous reviewers on this website which all visited a few years earlier at most. The site has been excavated from 1910 on and has been a Spanish national monument since 1923, but the real boost in visitor numbers came after the opening of the award-winning on-site museum in 2009. When I visited, on a Saturday in late March 2019, there were literally hundreds of visitors around and the overflow parking lot was in use. A significant part of the daytrippers consisted of Spanish muslims. Somehow not everything adds up here regarding visitor management: strapped for cash some restorations like the one of the Rich Hall have slowed down, but there still is no entrance fee charged. Other prominent Andalusian landmarks such as the Alhambra and Cordoba’s mosque-cathedral cost 14 and 10 EUR respectively. So why does Medina Azahara not profit financially from the high visitor numbers? The only paid aspect is the bus ride to the archaeological site, but this money seems to go directly to the bus company. Nevertheless, a visit is worthwhile and I spent about 2.5 hours at the site. The museum is an attraction in itself. I especially liked the glazed ceramics with their green and manganese decorations (I had to look that last one up – it’s a metal). They were made specifically at (or at least: for) Medina Azahara’s entourage. I also appreciated that at the end of your tour along the exhibitions you pass two huge storerooms where many more findings are kept. This as a silent reminder that much more work has to be done. The archaeological site itself I found larger and more impressive than I had expected. When it was rediscovered for the first time – in the 16th century by a local monk – it was thought that they were Roman ruins. This seems understandable as the ground plan resembles Pompeii or other relatively intact Roman cities. Medina Azahara was built on a series of man-made terraces, with the Caliph’s palace at the top. These days as a tourist you walk down from top to bottom. The narrow street pattern is still present and it really feels like you are walking in a city. There are squares, gardens, official buildings and smaller living quarters for the servants. The presence of palm trees and water in the pools does add to the general atmosphere of a liveable, rich city. Some parts have been beautifully restored, or better said: re-assembled as if it were a large jigsaw puzzle of where only half of the pieces were available. This was most prominently done at the various semi-circular arches, which were gateways and entrances to main buildings. The best example is found at the Europa Nostra award-winning House of Ya’far. The difference between original work and later additions is clearly visible, apparently a good practice in restoration. The authenticity of the whole was satisfactory to the ICOMOS consultants. Medina Azahara has come a long way over the past decade. I wonder how it will look like in 10 years. Time will come that the Rich Hall and its adjacent gardens will also be accessible, lifting the whole visiting experience up to another level. The whole area (Rich Hall plus gardens) is fenced off (there's a stone wall in between this part and the rest of the site, you cannot even come close). The AB ev of 2018 says "the conservation of some buildings of the Qasr have been delayed by financial restrictions. The main financial resources come from the Junta de Andalusia that covers the current expenses and minor conservation works. The large projects of building conservation cannot be carried out solely with the current budget. Special financial support by external institutions is required." In my review I wasn't sure if the "Rich Hall" (Salon Rico) and gardens were just temporarily "blocked off" - but you seem to have concluded that the entire area is closed for some time until "restoration" is "complete". This article indicates that the WMF has been involved since 2011 but isn't clear whether it considers its work finished or not (it uses both "past" and "present continuous" tenses!). And I can find nothing on the Web indicating when the Hall might be open . Also it isn't clear to me whether the Gardens have to await completion of the Rich Hall.. Did you gather anything? Months ....Years ..... Unknown into the distance? Frontiers of the Roman Empire - Lower German Limes, together with the Dutch Limes TWHS, is scheduled to be nominated in 2021. Together they form the 3rd of 4 clusters of separate stretches of the Roman frontiers up for inclusion, after the already inscribed UK/German one plus the ‘western Danube Limes’ (2019) and before the ‘eastern Danube Limes’ (2022). The Lower German Limes is concentrated along the river Rhine, which acted as a natural border of the Roman province of Germania Inferior. I had ‘been’ to its Dutch counterpart already in 2011, which was a very underwhelming experience. Both Lower German parts together are said to comprise 55 locations. Among the locations in Germany, it’s hard to say which stand out so much that they warrant a visit. I choose Xanten, which is home to 4 of the locations ánd has a well-developed archaeological park plus Roman museum within its borders. Xanten is a mid-sized town just across the Dutch/German border near Nijmegen. In Roman times it was the site of the Roman city of Colonia Ulpia Traiana. The proposed locations include a road, a defensive structure, the late Roman fortress Tricensima and the legionary fortress Vetera. The tentative site description at the UNESCO website puts them somewhere off the coast of Somalia, but by turning the coordinates around I could trace them back to modern day Xanten. At least Tricensima is part of the Roman archaeological park, the others may be slightly outside. The Xanten Archaeological Park is a large, open area where various buildings have been rebuilt in their original dimensions at exactly the same location as the former Roman colony. They include the city wall with guard posts, an amphitheatre, an inn and a temple. The amphitheatre has been fully re-erected, but the Harbour Temple has been reconstructed as a ruin. That is of course a bit odd if you try to imitate a city in Roman times: at that time it was of course intact and probably a colourful affair. And there is more that is missing: between these large 'monuments' lie neat green lawns. But this was a city with 10,000 inhabitants in Antiquity, so where have all the houses and shops gone? At the far end of the park stands a large, modern building made of iron and glass: this is the reconstructed entrance hall to the Roman baths. It now houses the Roman Museum. Spread over a number of floors, it exhibits Roman findings from Xanten. Xanten has long been an important military site, so it is not surprising that army helmets, spears and swords play a prominent role in the exhibition. You can also see the reconstructed ancient Roman baths from the higher floors of the museum - this was the largest public building of the Roman city. Outside lie some stone blocks that originate from the Roman buildings, but were used in the Middle Ages to build the 'modern' city of Xanten. Some underground sewers have also been excavated. Among things Roman, this is really a minor site. While I already expressed doubts about giving WH status to Nimes, I’d rate this at yet another level lower. Nimes at least has 2 major monuments left from Antiquity; Xanten only has a sewage system and some foundations! Nimes and Xanten are also comparable as they both were provincial Roman colonies of about 10,000 – 20,000 inhabitants. And both have recently constructed museums about life in Roman times which are quite similar in value. Today (13/04/2019) I visited Xanten. Original this was not my plan, I prepared Remagen for my tour Germany later this summer and I was still hesitating (searching) what to visit more, because Remagen is a small location. But Xanten was what I was looking for ! (And posible in a daytrip for me) Thnx Els for the review two weeks ago ! And two weeks ago I visited Tongeren, so for a while I have seen enough Roman sites. Hey cool, I went to there once, maybe enjoyed the bouncy castle part more than the ruins ;) Also I was surprised to find a town called "Xanten" that sounds so un-German still keeping the original name and not change to "Santen". Think it would be a nice extension to the WHS. Its modern inhabitants used to live in adobe beehive houses with conic roofs until the 1980s. 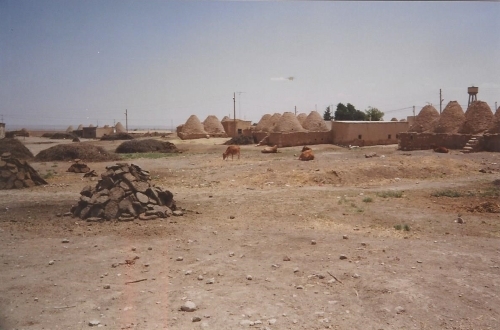 There were precisely 3 photos of Sanliurfa and Harran present in my 1991 photobook. 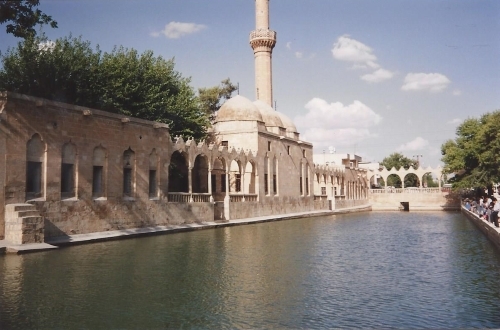 They coincidentally show the main aspects that give the sites their value: the Pool of Sacred Fish in Sanliurfa, the archaeological remains of Harran and the conical adobe houses also in Harran. I have posted them all here. But over what timescale might any nomination be developed? The first article states "80 percent of the excavations in the ruins have been completed" and gives an impression of something quite short term. But the second says "excavations at the palace are expected to continue for the next 10 years."! I guess that, if some major finds can be put on show then ICOMOS could accept that much still remains to be discovered? I am currently preparing for a short trip to Medina Azahara. 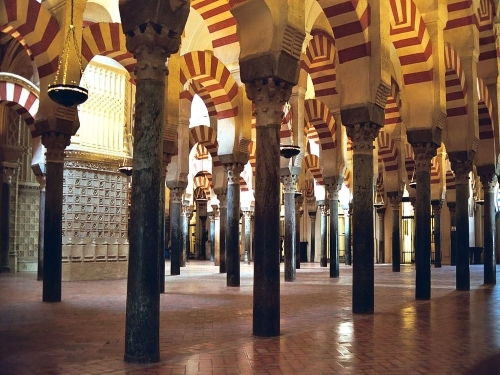 The OUV of this recent WHS in Andalucia is tied to both the “Umayyad cultural and architectural civilization” and “the significant period of the 10th century CE when the Umayyad caliphate of Cordoba was proclaimed in the Islamic West”. I found this is a good excuse to polish up our Umayyad Caliphate connection, as it actually falls apart into 3 focus areas: the original Umayyad empire, typical Umayyad art & architecture and the much later spin-off Umayyad caliphate of Cordoba. The Umayyad Dynasty hailed from Mecca, but Syria was their main power base. Damascus was their capital from 661 to 744 and Harran (a TWHS) from 744 til 750. Damascus was mainly a Christian city at the time. The Umayyads introduced an Islamic coinage system and established Arabic as the official language. They created a new urban plan with the Great Mosque (at the spot of the former Christian Cathedral of St. John) at its heart. This model served as an example to subsequent other Arab cities. The process of cultural Arabization and Islamization also extended to Jerusalem, where the Umayyad Caliph ordered the construction of the Dome of the Rock (692) . The Umayyad sphere of influence reached from Central-Asia to the Iberian Peninsula, making it the third largest contiguous empire in the world. In Tunis and Kairouan they founded the city and built the Great Mosque. Akko and Tyre were important ports / naval bases and the Umayyads strengthened their fortifications. Now nothing tangible is left from the Umayyad period in these latter cities. 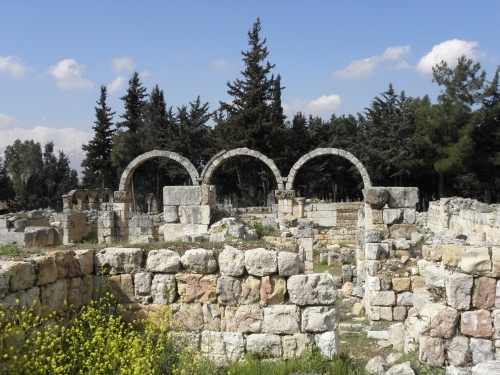 Anjar and Aleppo are considered the best examples – after Damascus – of Umayyad town planning and city building. The art & architecture that the Umayyads created is considered to be a mix of other Middle Eastern civilizations and that of the Byzantine Empire. They also added own inventions such as mosques with minarets and the horseshoe arch. In their architecture they often re-used existing buildings. In Syria, “churches were converted to mosques by blocking up the west door and making entrances in the north wall”. 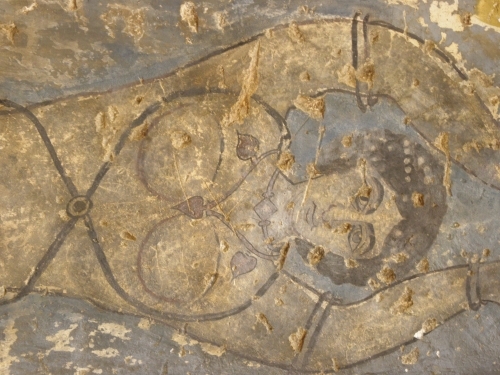 The best example of Umayyad art undoubtedly is Quseir Amra. The frescoes in this bath house are a form of early Islamic art, far away from the “austere religious environment”. The Historic Centre of Córdoba is of course the most impressive testimony to this Caliphate of Cordoba. Here the focal point is the Great Mosque of Cordoba, built on the location of a Christian church just as the ‘original’ Umayyad Mosque of Damascus. 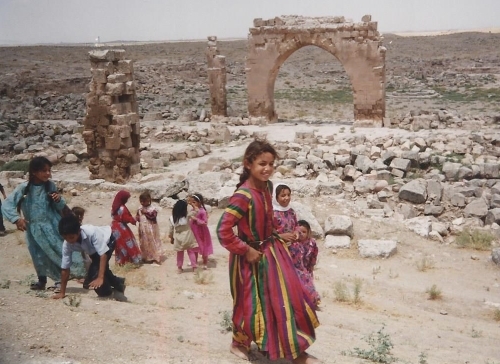 Nearby Medina Azahara was its newly build twin city. In total, 8 WHS attribute their OUV to the Umayyads in some form or another. 7 WHS have a lesser connotation. That is very impressive for one family! Thanks! Good find, Solivagant! I believe it was at least Umayyad in architectural style (see Data at https://archnet.org/sites/2730). It probably wasn't built on the orders of an Umayyad dignitary (Toledo seemed to have been "far" from Cordoba in that respect), but by a private person. And I'll remove Abassid. "In total, 8 WHS attribute their OUV to the Umayyads in some form or another. 7 WHS have a lesser connotation." I see that we haven't connected Toledo to this Connection. Crit iii for Toledo states "The civilisation of the Emirate of Cordoba built a great many Islamic art monuments...." and then lists a number including the Bab al- Mardum Mosque. This was built in 999 and became the Mosque of Cristo de la Luz. But we have it connected to the Abbasid Caliphate !!?? If my reading of the history is correct - Toledo was frequently in a state of rebellion but "In 932, Abd al-Rahman III conquered Toledo, re-establishing control of al-Tagr al-Awsat, the Central March of the Omeyyad state" (Wiki). My "bible" on such matters - "Islamic Art and Architecture" (pub Konemann) clearly places the Bab al-Mardum mosque in the chapter on "Spanish Umayyads" - just before Medina al-Zahra!! What is your understanding on this? One of the disadvantages of almost having ‘finished’ Italy - I have 2 out of the 54 WHS left to visit - is that I am missing the regular weekend trips out there to enjoy the historic cities and their art. So although Padua’s Scrovegni Chapel is only up for nomination in 2020, last week I fitted in an easy weekend trip to this self-proclaimed ‘Capital of the 14th century fresco painting’. It even already has a nomination website and an epic title: Padova Urbs Picta (Latin for “painted city”). I had been to Padua once before, in 2007. Then already I had a booking for the Scrovegni Chapel, but I ran out of time that day and only ‘did’ the WHS Orto Botanico. Now I had some 24 hours to spend in the city and I stayed overnight. Padua is not the most immediately likeable city: it has some prominent examples of fascist architecture, the railway station area is rather scruffy and it takes a long walk from there to get to the historic center – a center that is split into several piazza’s with not much of interest in between. On my first afternoon I visited 4 out of the 9 proposed locations. I was staying near the Prato del Valle square, from where the Basilica del Santo is the closest location. This is a huge pilgrimage attraction – its interior holds the spectacular tomb of St. Anthony - but I did not manage to find the ‘right’ frescoes made by Giotto and his contemporaries (the church is fully covered with paintings and frescoes). A better bet lies next door: the small Oratorio di San Giorgio. This is a cute funerary chapel entirely decorated with frescoes and worth the separate ticket. The Oratorio di San Michele lies somewhat out of the way, but it is also a small former church. I was the only visitor. The frescoes here have been severely damaged. Finally I went to the Battistero della Cattedrale, the Baptistery of the ‘other’ or real Cathedral of Padua. It was packed with visitors inside and some scaffolding disturbed the views, but I found it quite brilliant in general. There’s a lot to admire here, especially the dazzling ceiling fresco with a crowd of faces surrounding Christ. For the next morning I had a pre-booked ticket for 10 a.m. to enter the Scrovegni Chapel. I was afraid to miss my time-slot again, so I already showed up at the adjacent Eremitani Museum an hour before to exchange my printed ticket for an official one (A4-sized!). That gave me some time to explore the museum first. It is large and a bit of a maze. The best 14th century art is concentrated in 2 or 3 exhibition rooms upstairs on the first floor. There’s a lot of other stuff also, including Roman, Egyptian and Etruscan archaeology plus art from various ages. The museum is to be part of the WHS nomination, as it holds some works that were taken away from their original location. These include the Croce by Giotto (originally painted for the Scrovegni Chapel) and the painted panels by Guariento (originally located in the Cappella della Reggia Carrarese). It takes at least an hour to do the exhibitions justice. The Scrovegni Chapel itself did not disappoint: I felt a bit rushed in the beginning, would the 15 minutes that you are allowed inside be enough? But in the end I was OK with the time given. I also enjoyed the video that is shown in the 15 minute period while you're in the 'holding pen': it's a nice warm up and programmes your mind to see certain details. Because of the low sunlight I found the frescoes on one of the walls hard to see. It is quite remarkable that taking pictures is allowed here, as well as in the museum. At the other nominated locations it is forbidden as far as I noticed, although the bans are not strictly enforced. At the Baptistery everybody was happily snapping away with their phones while the only staff member on duty was busy selling tickets. After having spent 1.5 hour in this part of the city, I just forgot to pay a visit to another location next door: the Chiesa agli Eremitani. I went back to the Cathedral area instead, where I also had planned to have lunch. Not to be missed here is the Palazzo della Ragione. This huge former town hall annex covered market holds a great space on its first floor: a hall also covered in 14th/15th century frescoes. They're not really masterpieces up to the Giotto standard, but the hall itself and its wooden features are not to be missed. Trying to complete the 9-out of-9 locations, I searched in vain for the entrance to the Cappella della Reggia Carrarese. It lies close to the Cathedral as well, but signposting isn't great and its best frescoes are in the Eremitani Museum now anyway. A final conclusion: I am still not smitten by Padua as a city in general, but the Scrovegni Chapel, the Battistero della Catedrale and the Palazzo della Ragione are worth the trip out there. I always thought it's just the chapel itself. I did not pay that much attention to the other churches. In Italy one quickly grows a bit tired of churches. Good that you wrote an extensive review. @Zoe: Visiting tentative sites is a fool's errant for the most part. I have visited only about 5 out of 40 from Italy's Tentative List. But I do not target TWHS per se, only pick them up when they are close to nomination or when I am in the general area and they seem interesting enough. It's indeed a lovely place. I walked around slowly twice in the 15min and it's just enough. Don't you have enough tentative places left to visit though? I also found the duomo baptistery stunning. But while I was not sure about “right” frescoes in Saint Anthony I found several of the side chapels very rich and fascinating. Therefore the whole church could be part of the inscription though not all of it may be from the specific century. Also it’s a maze of cloisters Is not to miss. Great is also the teatro anatomico, the best kept example of its kind. This could even be a candidate on its own or perhaps together with the few surviving buildings of the old university. One of the funniest Connections between WHS that we have on this website is Historical Graffiti. I always enjoy looking out for those pre-20th century scribblings while visiting a WHS. A good example was in the news this week: the discovery of more Roman graffiti at the site of the Written Rock of Gelt at Hadrian’s Wall. Roman soldiers working at the quarry had scratched a phallus into the wall, "a good luck symbol in Roman times". The word 'graffiti' is of Italian origin and literally means 'little scratches or scribbles'. According to Chambers dictionary the exact English definition is: ”words or drawings, usually humorous, political or rude, scratched, sprayed or painted on walls, etc in public places”. The American Merriam Webster dictionary adds that they are “usually unauthorized”. Graffiti clearly is of all times. The writings or drawings can be as old as the site as itself, or as recent as the 19th century. The oldest ones among the WHS with Historical Graffiti are those at the Megalithic Temple of Hagar Qim (possibly 3rd millennium BC) and the ones at the Pyramids (an inscription has been confirmed as dating back to 1240 BC). During the 17th, 18th and 19th centuries it became almost commonplace to leave your markings on a classic archaeological site such as Persepolis and Baalbek. They are mostly people who travelled from afar, wealthy ‘Victorian travellers’, explorers, pilgrims and to a certain extent soldiers that were sent abroad as well. Also people who got stuck somewhere and got bored, such as prisoners and (again) soldiers. At certain places, the workers that constructed the WHS have left their mark also. This is possibly the case with the very early drawing at Hagar Qim: the model of a temple could have been left there by the builders. 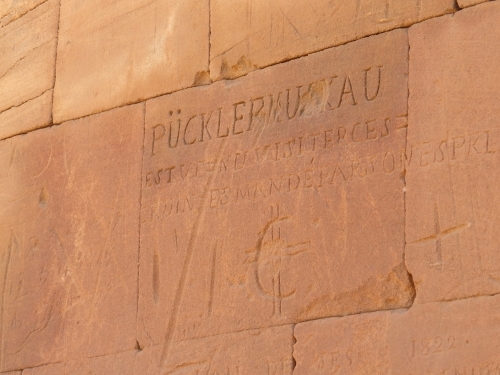 At the Pyramids, the various gangs of workers left inscriptions such as “Drunks of Menkaure” and “Friends of Khufu Gang” (Menkaure and Khufu being pyramid-building Egyptian kings) on bricks at the monuments of Giza. From a much later date is the graffiti left behind by the convicts who were assigned to construct Australia’s Great North Road. A special case is that of the 15th century 'scientists' (a.k.a. catacomb hunters) who could not constrain themselves at Rome’s Catacombs, when they rediscovered earlier paintings. In some cases they just scribbled their names on top of the new findings! The most common form of historical graffiti is just the inscription of a person's name. Or “[name] was here”. Or “[name] [year]”. Sometimes this act of self-expression was extended to one or two full sentences, remarking on the quality of the location they just had visited. While most graffiti are simple texts or drawings, more elaborate forms have been found as well. Tikal for example is covered with Mayan drawings of masks, animal figures and temples. In Pompei, more than 11,000 inscriptions have been found, ranging from poems to riddles. Whoops - Athens I mean! - mixing my sources! The runic graffiti on the Piraeus Lion in venice (https://en.wikipedia.org/wiki/Piraeus_Lion) is doubly interesting in that it was made in another world heritage site, Istanbul. 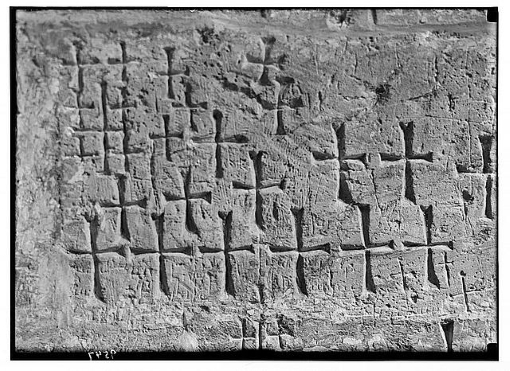 So there is Westminster graffiti, then, even if in the abbey rather than the palace — great find, Els! I also added 3 more: Edinburgh Castle, Gebel Barkal and Aphrodisias. I guess almost all medieval castles and classical archaeological sites are possible candidates. Good work on the Westminster one, Another one that may qualify and I’m always keen to recount is in the in the Houses of Parliament where there is a hidden plaque surreptitiously installed by Tony Benn to commemorate Emily Davidson’s rather impressive suffarage protest (well worth a further read https://www.parliament.uk/about/living-heritage/transformingsociety/electionsvoting/womenvote/case-studies-women-parliament/ewd/tony-benn-plaque/) I’m sure there are others around the place as well though there aren’t any desks in the Houses of Commons or Lords so perhaps not the same as in Washington. Im trying to find something online about it, but at Wartburg there is graffiti left by Peter the Great in the room where Luther translated the bible. I will see if I can find something if not I will dig out my photo of it. Found something, Jay T: Coronation Chair in Westminster Abbey "Most of the graffiti on the back part of the Chair is the result of Westminster schoolboys and visitors carving their names in the 18th and 19th centuries. One of the tourists carved "P. Abbott slept in this chair 5-6 July 1800" on the seat." Lawmakers have a tradition of carving their initials on their desks in the US (see https://www.politifact.com/tennessee/statements/2012/jul/18/julia-hurley/state-rep-julia-hruley-says-state-and-us-capitols-/). Is there any counterpart to this tradition in London’s Palace of Westminster? If so, that might be another addition to this link. Your picture is even better since the graffiti could be of the UNESCO-Duke of the Muskau park or at least a relative! 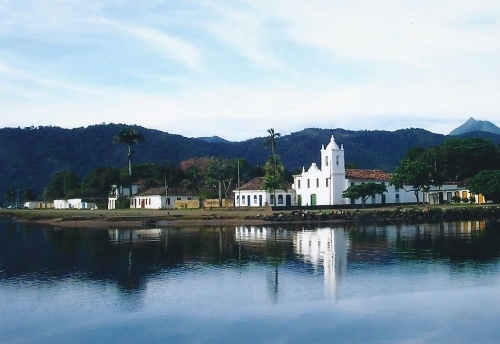 The Brazilian town of Paraty holds the record of having submitted an incomplete dossier: no less than 4 times! But finally the Brazilians have succeeded last year in putting everything together and Paraty will be brought forward as their WH nomination for 2019. Its new title ‘Paraty Culture and Biodiversity’ suggests a very broad approach. As Gold Route in Parati and its landscape an earlier incarnation of this site was already Deferred in 2009: the main objection at the time was that only a small part of the Gold Route was included. 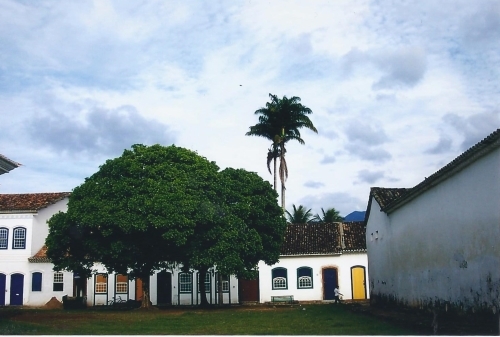 The focus was on the town of Paraty, on which the verdict was “a 19th century colonial town, although attractive, it is not exceptional and ICOMOS does not consider that Paraty on its own justifies inscription on the World Heritage List”. Possibilities were seen though to include a longer stretch of the Gold Route and/or to extend it to a mixed WHS or a cultural landscape “with high natural values”. 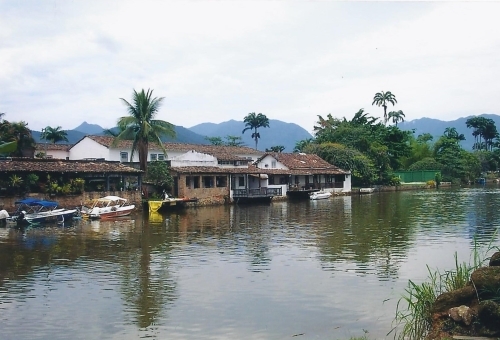 The new nomination called ‘Paraty Culture and Biodiversity’ is a mixed one indeed and a cultural landscape as well. The “Gold Route” has disappeared from the title, so we may assume that the natural setting will become more prominent than the historic route. But let’s be clear: in the end it’s all about Paraty, a pretty coastal colonial town that is already well on the tourist trail. They might be wanting to attract even more international visitors. For me it was an exciting trip just getting to Paraty, which lies on the coast south of Rio de Janeiro. I left by plane from Iguacu (in the far west of Brazil) with a direct flight to Rio. From there it’s another 4 hours to Paraty. At the bus station in Rio however I found out there was only one bus leaving, at 7.30 pm. Which meant a (very) late arrival in Paraty – something you always hope to avoid but just not always works out. When the bus finally left, the fun lasted only briefly. After half an hour something obviously was wrong with the bus and the driver went outside to smoke a cigarette. Fortunately, we were stranded in a not too bad suburb of Rio. 45 minutes later a new bus picked us passengers up for the final stretch to Paraty. The road to get there winds along the coast, unfortunately it was already dark so I missed out on the views. The bus stopped pretty often, we even took a loop near a nuclear power plant. At half past twelve I arrived at the door of my pousada in Paraty where they had waited for me. So what is there to see and do in Paraty? Well, actually nothing special at all. It is an old colonial port, which (in 2004) supported a modest form of tourism. There’s a good choice in restaurants, you can have a walk through the streets, sit on a bench and look at a church. However, I spent most of the days on the sunny terrace of my pousada. The Walled City of Jaipur will apply for WH status this year. The city in Northern India already has 2 WHS within its borders: Jantar Mantar and Amer Fort (the latter as part of the Hill Forts of Rajasthan). The city authorities however still they seem to long for the recognition of its historic center in general. The core zone of the proposed WHS will be limited to the area within the old city walls – this would lead to an exact location inscribed twice connection for Jantar Mantar, but not for Amer Fort which lies in a separate village within the municipality some 11km away. 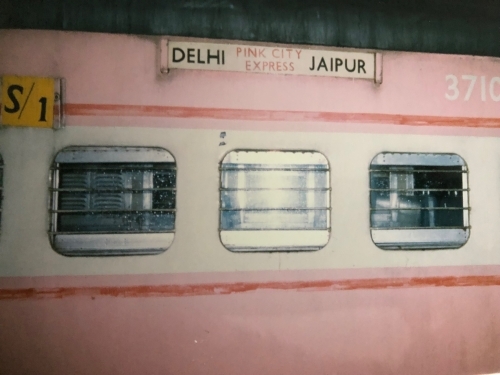 I visited Jaipur in 1993, arriving by Pink City Express train from Delhi. 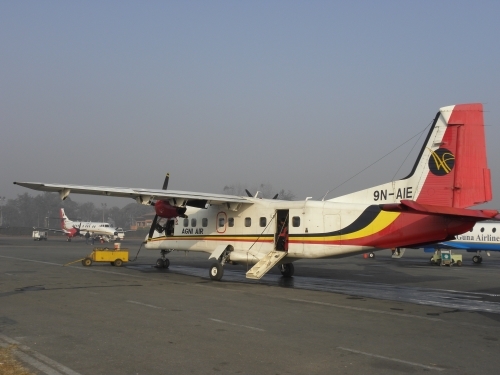 The city was part of a whirlwind group tour across Northern India and Nepal and I think we stayed for 1 night only. My photo album of the trip shows that we covered the City Palace, Nahargarh Fort, the observatory, Amer Fort and a cinema. It would have been hard to have not seen the Hawa Mahal (the Pink Palace) as well, but I have no photos of this landmark left. The Nahargarh Fort and cinema lie just outside of the walled city. Which leaves the City Palace (dating from 1732) for me to describe. 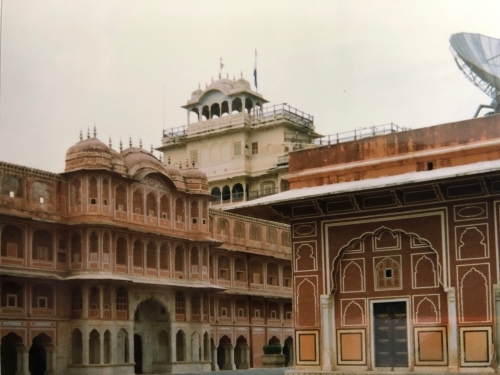 This was the seat of the Maharaja of Jaipur and thus a core element of the 18th century planned city that is to sustain the Outstanding Universal Value of the nominated site. It is a large complex, with several richly decorated gateways, palaces, pavilions and temples. Gardens and an artificial lake complete the scene. My memory in general is terrible, so don’t ask me about specific observations about Jaipur from 26 years ago. 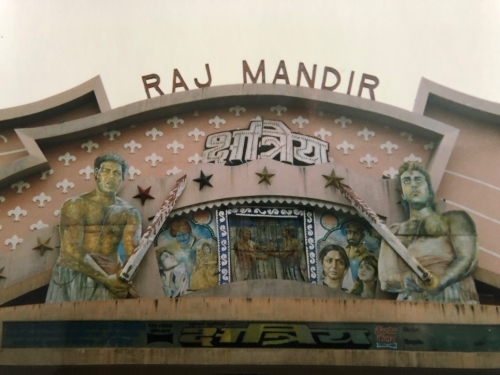 A short glimpse has remained though: we went to see a Bollywood movie in The Raj Mandir, a “meringue-shaped auditorium … and … a popular symbol of Jaipur”. The movie we saw coincidentally included fragments filmed in the Netherlands: there were shots of scarcely clad women and of violence on the train, with people having their heads jammed between the windows. Maybe this portrayed image explains the weird attitude some Indian men display towards European women….